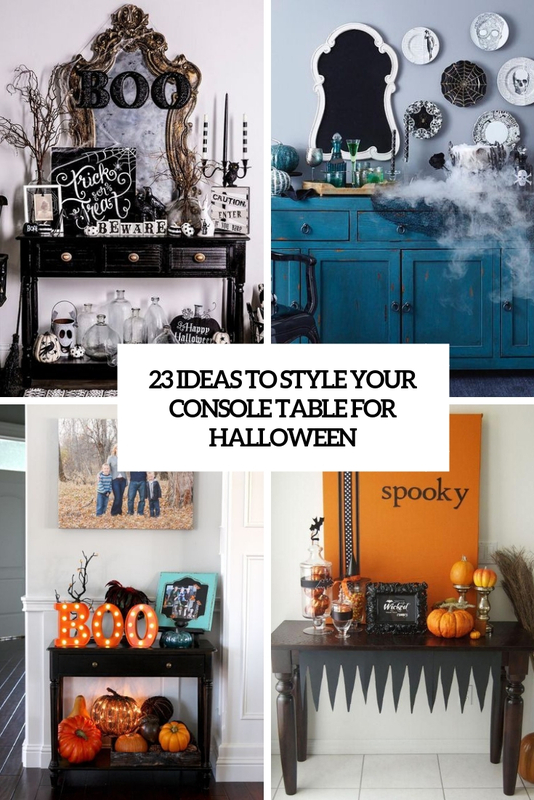 Most of us have consoles at home and styling and restyling them in various ways is a cool way to welcome seasons, holidays and other occasions. 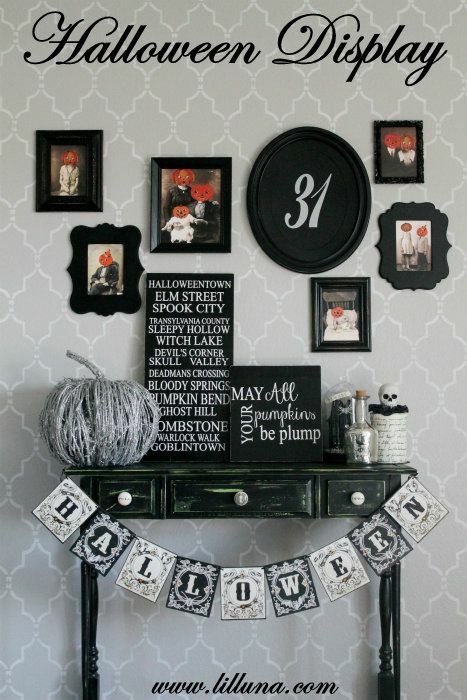 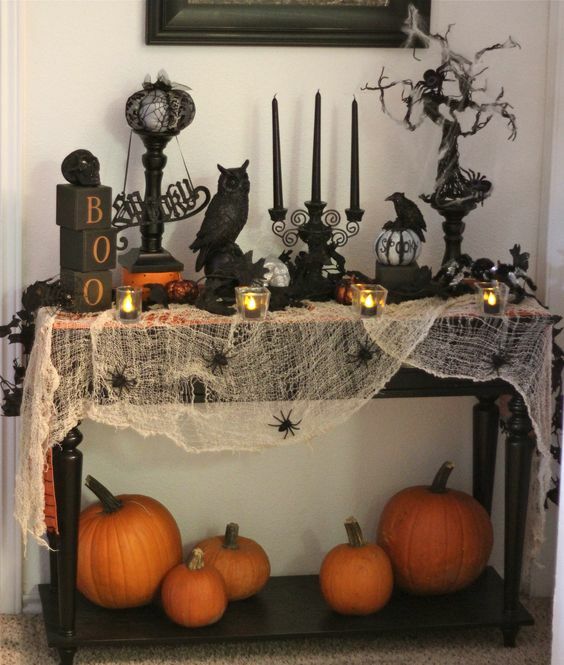 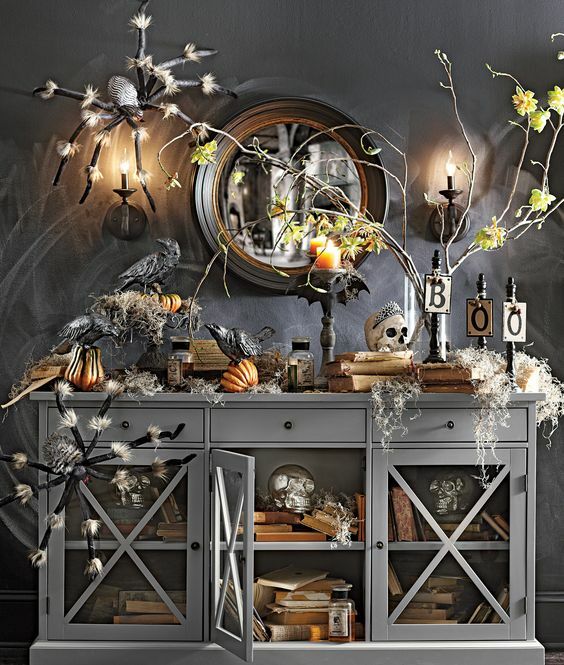 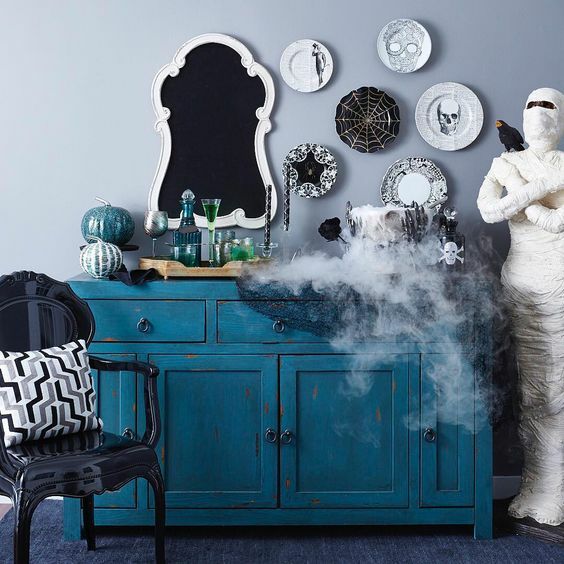 Today we’ll take a look at some ideas to style your console table for Halloween, the scariest and the funniest holiday. 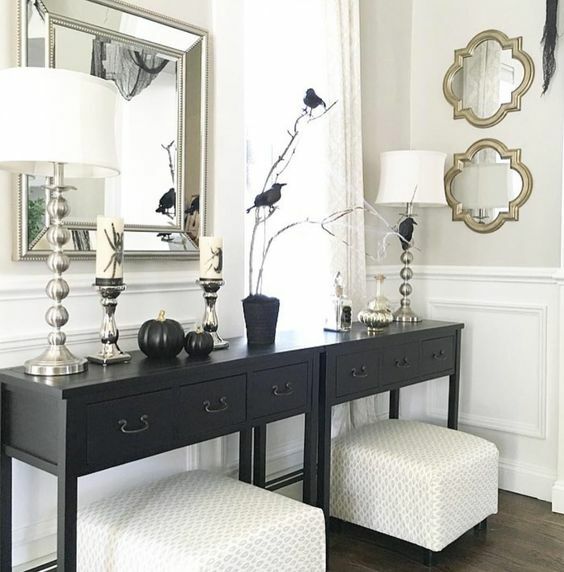 The first thing you should figure out before styling the console is the colors you want. 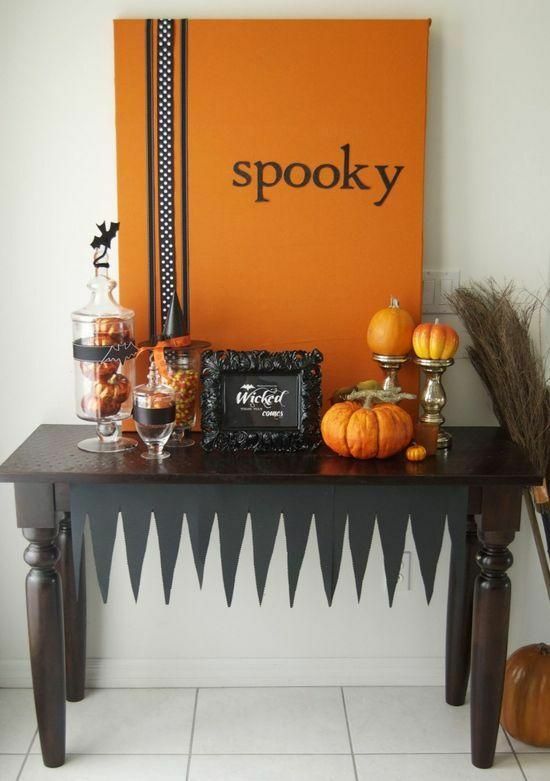 The most traditional Halloween color scheme is black and orange, and you may go for it if you like. 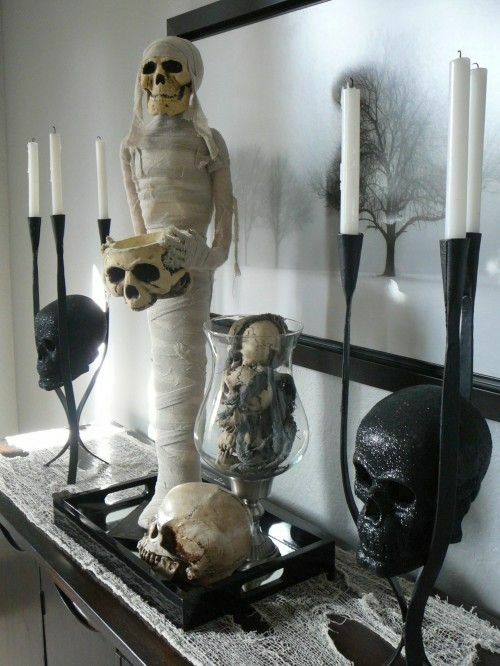 Wanna something contrasting? 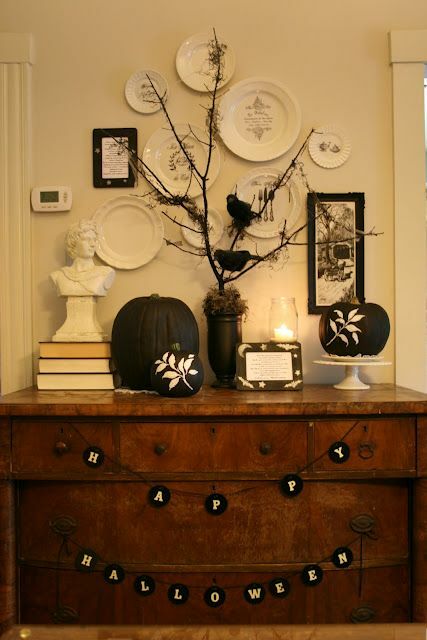 Try black and white, which is classics and basics and will fit most of entryways. 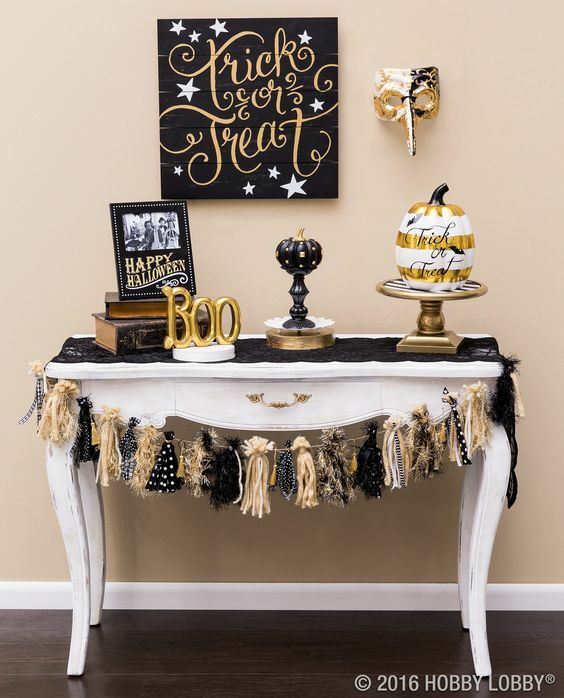 Make this color scheme bolder and more chic adding gold touches to the console. 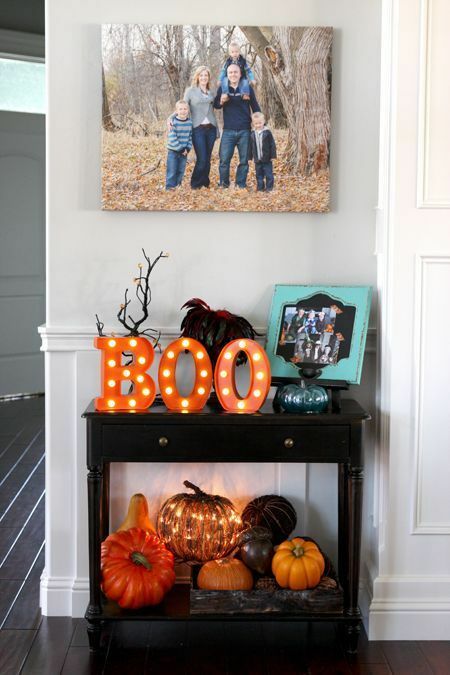 If you like bright colors, don’t be afraid to rock them, even all of them! 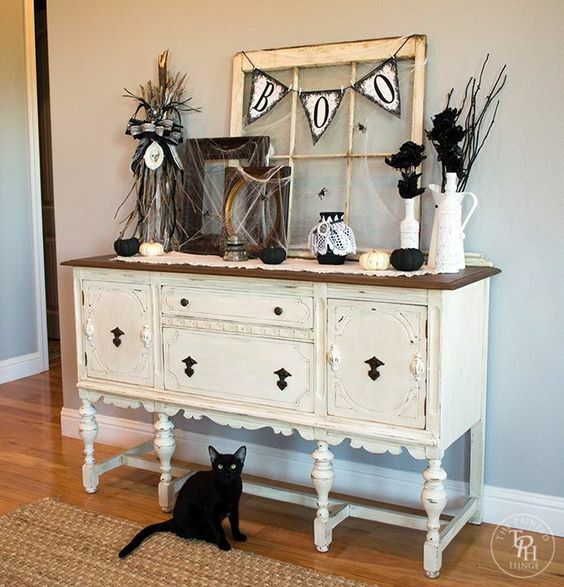 Have a bold console in your entryway? 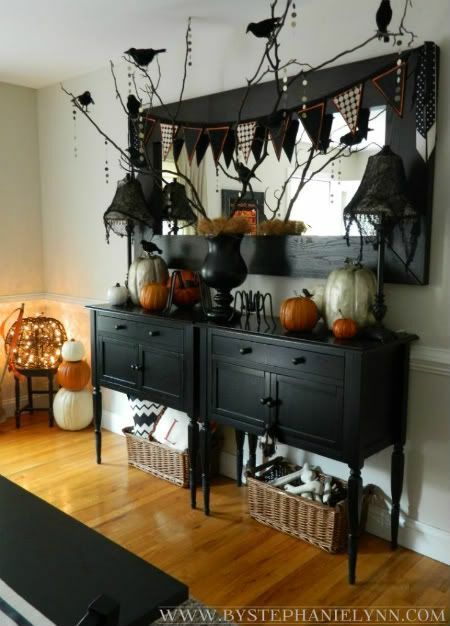 Stick to its unique color getting or DIYing items in the same shade, such decor will definitely stand out! 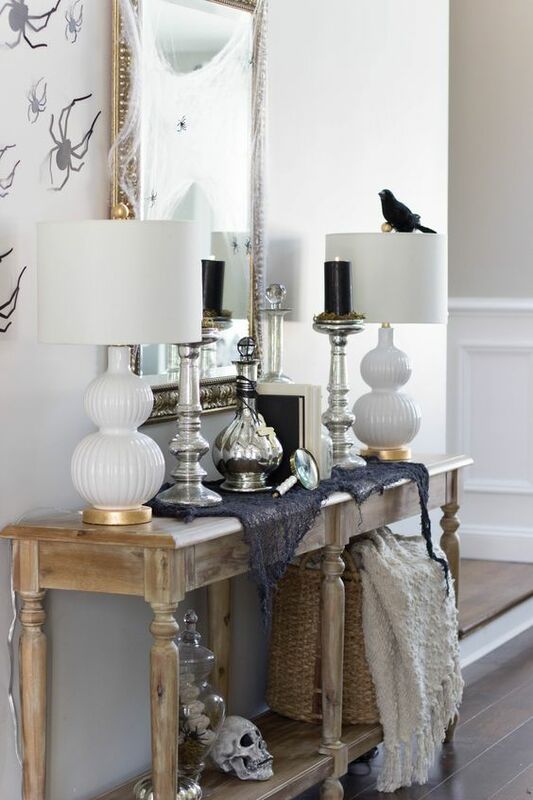 Cover your console with white or black mesh to imitate spiderweb or leave it as it is and think of decor. 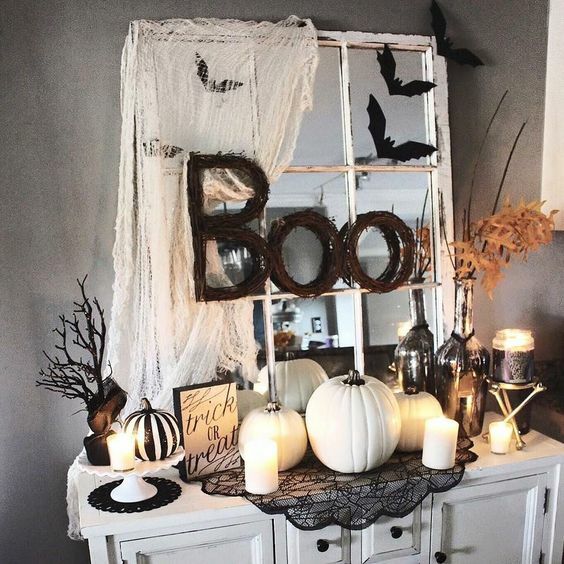 What items to use? 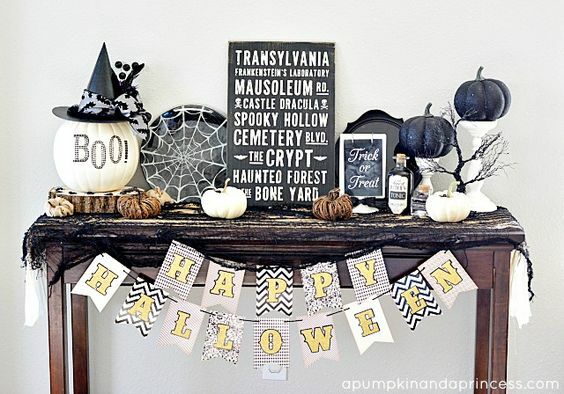 It depends on your decor style, first of all, vintage, minimalist, modern, rustic or any other – choose the style to decide on the items. 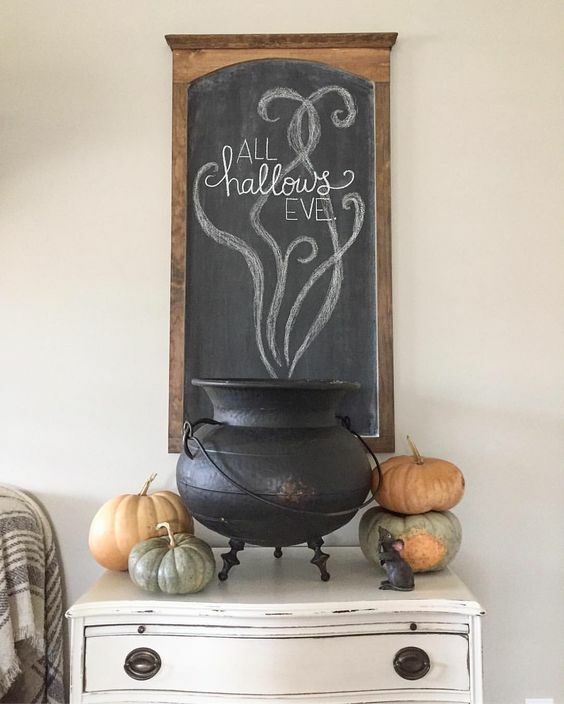 There are lots of options to go for! 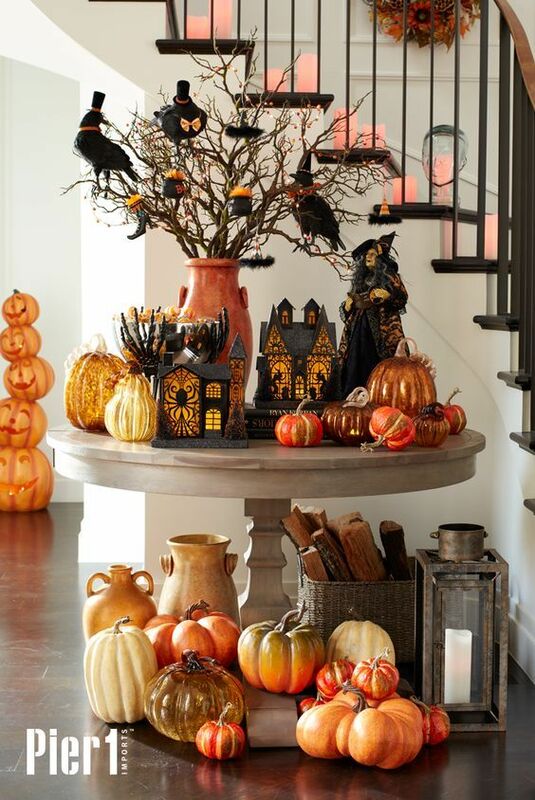 First of all, these are pumpkins, faux and real ones, neutral, black or colorful ones. 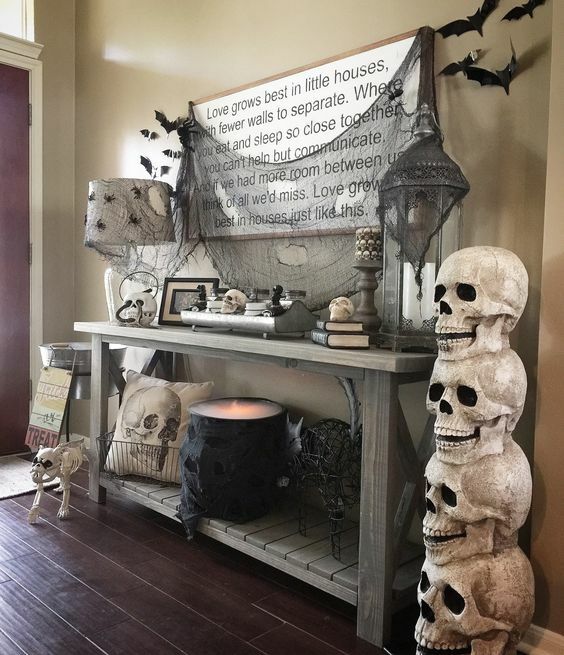 The next idea is skulls and bones that are extremely popular for Halloween decor – get some of them in black and white to rock on your console. 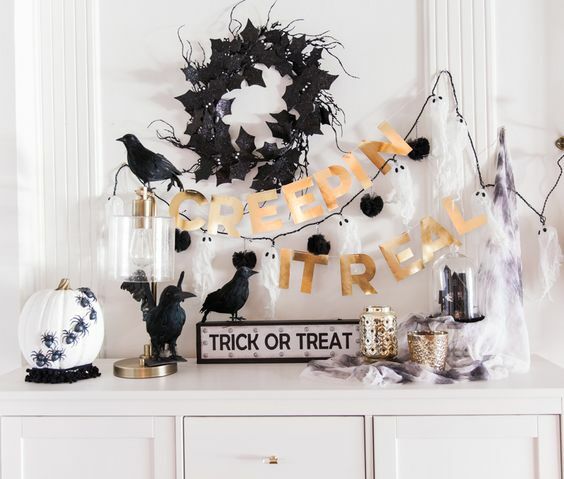 Fake birds and spiders are a cool idea to create a spooky feel, and you may put birds on branches or walls and spiders can be attached to the wall or put on the table. 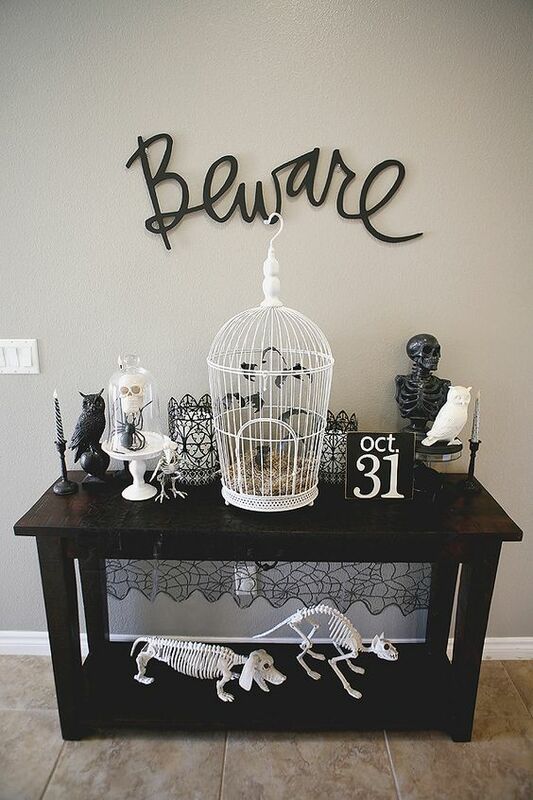 Add cages, candles in various candle holders, spiderwebs and stuff like that. 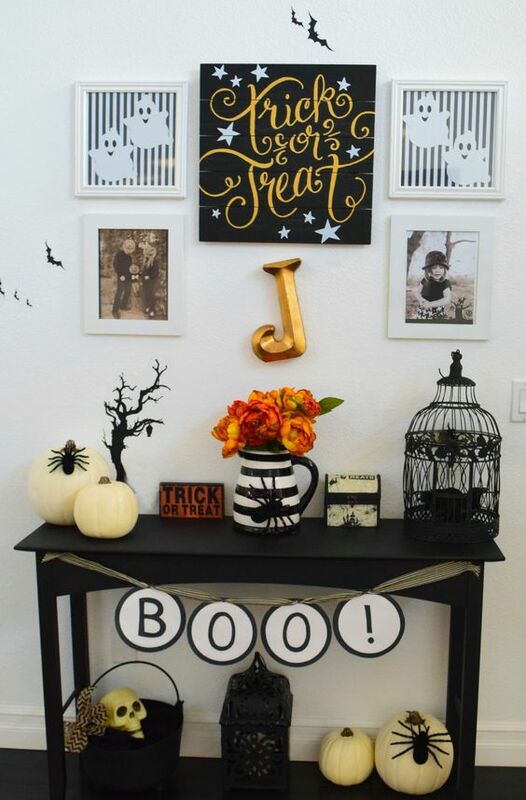 You may also spruce up the wall over the console hanging some marquee lights, signs, artworks and even decorative plates if you want. 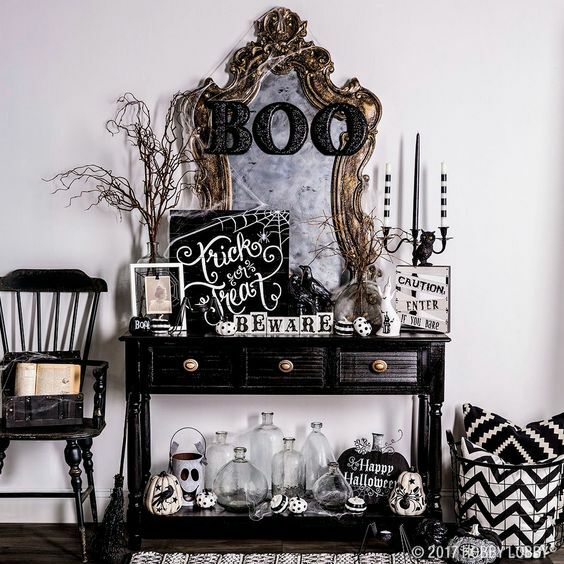 Whether you create a minimalist display, whether you go super bold and modern or try something shabby chic with a worn feel – your console is sure to embrace the holiday!